Install-and-work! Do NOT need calibration. 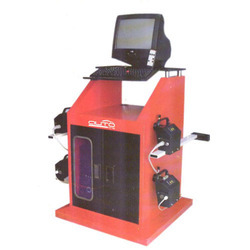 Auto-One 3D wheel aligner is stable, accurate, low cost, and easy-to-maintain 2 camera system wheel aligner. Specially designed for clients who need to expand their business with high performance equipment requirement. This product has outstanding & unique features and the most advanced technology to ensure the growth of your company. 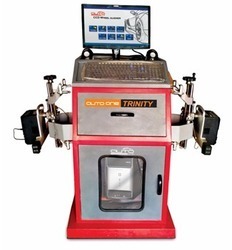 Auto-One 3D wheel aligner is a break through of the current 3D wheel alignment technology. Suitable for car manufacturer workshops, Independent Workshopss or tire service shops with a high amount of wheel alignments at an affortable cost. 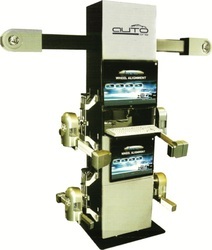 Auto one presents (AOE - 750), Wireless Computerized Wheel Alignment System, with DUAL DISPLAY and Rolling Run-Out to facilitate the technician to view the Alignment Readings easily and take Run-Out of Wheel without Jacking-Up the Vehicle. Vehicle Specification - 30 years. Human - based design, easy & simple to handle. Fully Aluminium Body-Light in Weight - RUST FREE. 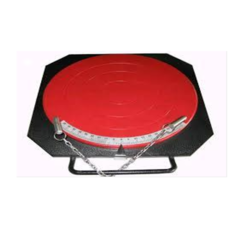 Wheel Size Range 10" to 22"
Autoone ccd wheel aligner is a true ccd wheel alignment system which is offered in two variants . 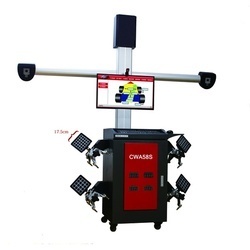 2 head ccd wheel aligner system and 4 wheel alignment system. The wheel alignment works on any windows platform and it comprises of wireless sensors with lcd display. these display shows the camber and toes readings during breakdown of computer or powercuts. It shows readings for camber caster and toe through a interactive voice command software for easy user interface. 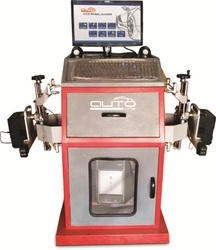 Wheel Size Range 12"~ 17"
Autoone presents model eaxt 100, Wireless Computerised Wheel Alignment System, with DUAL DISPLAY and Rolling Run-Out to facilitate the technician to view the Alignment Readings easily and take Run-Out of Wheel without Jacking-Up the Vehicle. Vehicle Specification – 30 years. Human – based design, easy & simple to handle. 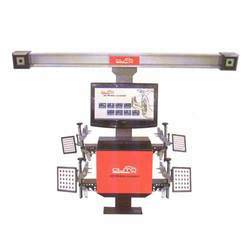 Wheel Clamps 11" to 23"
Autoone presents (AOE - 750), Wireless Computerised Wheel Alignment System, with DUAL DISPLAY and Rolling Run-Out to facilitate the technician to view the Alignment Readings easily and take Run-Out of Wheel without Jacking-Up the Vehicle. 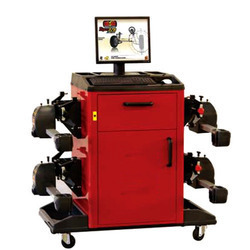 We are involved in offering a comprehensive range of Laser Wheel Alignment System. 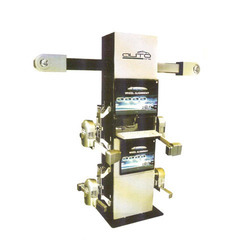 These laser wheel alignment systems are tested on several parameters, such as performance, efficiency and sturdiness, using strict methods. Developed using advanced machinery, this range is widely appreciated for dimensional accuracy, precision results and durability. We are offering Turntable wheel aligner to our clients.